Operatives of the anti-graft EFCC this evening raided the Abuja home of Danjuma Goje, a former governor of Gombe State, The operation, which began after 5:00 p.m. was still ongoing as at 7:01 p.m.
Their correspondents report that at least 12 vehicles, including about eight police vans were stationed outside the building. At least 25 mobile police officers were sighted outside the building, located on Haile Selassie Street, Asoroko. 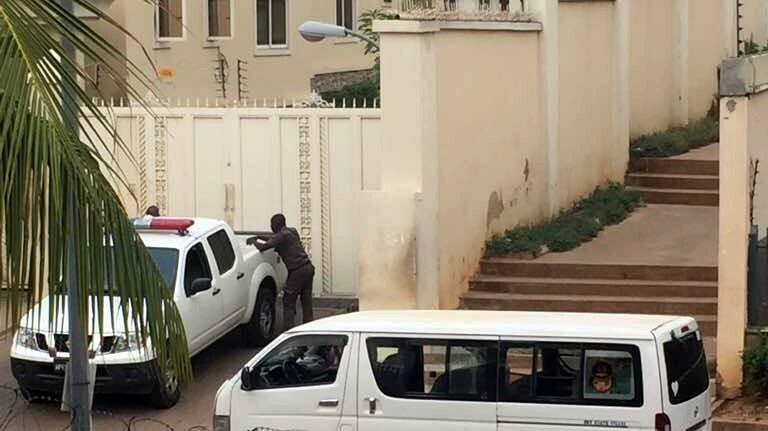 About half a dozen EFCC detectives were also seen standing outside, with even more likely to be inside.